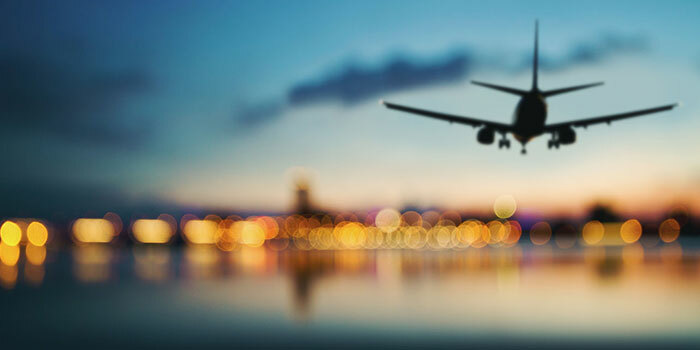 Due to rising fuel costs and additional charges to passengers imposed by the airlines, it can be quite difficult to find cheap flights. Since, it's impossible to drive to every destination you want to go to, flying is sometimes the only option, not to mention many times the quickest way to get to your destination. Fortunately, there are plenty of things you can do to find the cheapest rates and avoid paying additional costs. More than any other day of the week, many airlines offer their cheapest tickets on Tuesdays. Always shop around and compare fares on sites like Kayak or Fare Compare. Additionally, set up travel alerts so you can get notified when flights for your destination go on sale. Tuesdays, Wednesdays, and Saturdays are the least crowded days at airports which means seats can be reserved cheaper than during other days of the week. Also, early morning is an excellent time to find cheap tickets because a lot of people aren't willing to catch that 6AM flight at a busy airport. Many travelers are unaware that there is an ideal time to buy a plane ticket. If you buy a ticket too early or too late (i.e. too close to your departure date or too far from your departure date), you risk end up paying more than you want. The ideal time to buy your airline ticket is three months, and six weeks before the date on which you wish to travel. Today, there are many additional surcharges that can be added on by airlines. Crazy as it may seem, some airline companies even charge their customers for water or using the onboard washroom! Keep a look out for other sneaky charges including fees to contact customer service and make a booking over the phone. Baggage fees vary greatly from one airline to another, but the truth is that all airlines have baggage costs. Some airlines include the first bag for free but it's very common to see budget airlines charged for all checked luggage. Rather than pay for that additional suitcase, you're better off reducing the number of things you're taking on your trip. Ask yourself "do I really need to take this extra pair of shoes?". Sure, it can be tricky, but try to limit yourself to the essentials. In addition to our tips above, Independent Traveler also posted a handy article on airline surcharges to keep a look out for. Hey! It's time to get your finances back on track! Read on to discover the best road map for financial recovery.